So this happened for the first time ever yesterday. 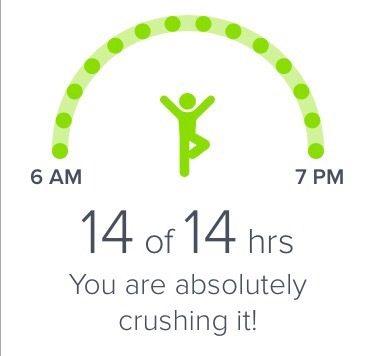 Hourly activity win! I can’t guarantee that I’ll ever be able to repeat this, since work schedules do with they will. But it was kind of fun to make it once. Wow. Reminds me of all your successes when you put your exceptional mind to things.